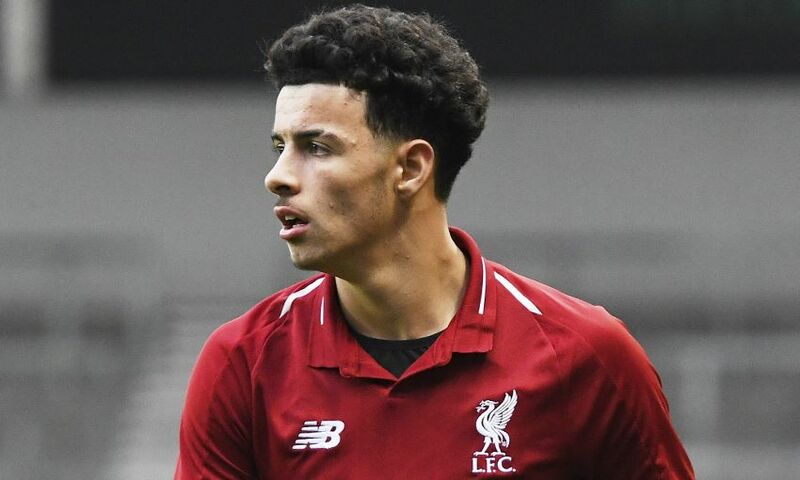 It was a frustrating night for Liverpool U23s as they were beaten 2-1 by Blackburn Rovers in Premier League 2 on Monday. First-half goals from Jacob Davenport and Jack Evans caught the young Reds cold at Leyland County Ground and ultimately proved enough for Rovers. Neil Critchley’s side were dominant for much of the second period and struck back through Matty Virtue, while Adam Lewis hit the woodwork twice. Kamil Grabara saved a stoppage-time penalty from Daniel Butterworth and then almost scored himself having gone up for a final attack seconds later, but an equaliser eluded them. The Liverpool goalkeeper had already made one excellent reaction save – when a cross from the right was touched his way – before Blackburn opened the scoring in the fifth minute. Davenport provided the goal with a 25-yard strike that whistled through the bodies in front of him and into the bottom right corner, with Grabara complaining he was unsighted. The opening quarter-hour was otherwise a scrappy affair as the young Reds struggled to gain a rhythm – and their challenge increased with 17 minutes on the clock. Ryan Nyambe made ground along the right with a determined run to the byline and after his centre was flicked en route by former Academy forward Okera Simmonds, left-back Evans followed in and forced the loose ball home. Stung by the double concession, Liverpool needed to respond and they created their first genuine opportunity just shy of the half-hour mark. Curtis Jones fed the ball out to Rafael Camacho on the left edge of the area and he cut inside his marker before curling a shot narrowly wide of the far post, with Liam Millar unable to connect sliding in. Millar should have halved his side’s deficit a minute before the break; picked out by a perfect Virtue cross into the middle, the unmarked No.9 could not get over the ball and sent his header too high. Lewis went close seconds later but his careful side-footer off his right drifted just off target, leaving Liverpool with plenty to do after the interval. Critchley’s team asserted greater authority on the game from the restart, moving the ball with increased speed and invention. It was from a more direct route they threatened a goal, however, when Lewis’ latest inviting corner-kick saw Virtue get ahead of his marker but prod wide. The 18-year-old Lewis then hit the crossbar with an outstanding free-kick effort; belying the tight angle on the right hand side, his inswinging strike was inches away from dipping underneath the woodwork. But the Reds’ pressure finally told on 63 minutes. Camacho’s whipped hit from 20 yards was superbly tipped up onto the bar by the stretching Oliver Byrne – and Virtue reacted quickest to nod the rebound into the vacant net. The Liverpool captain’s influence on the momentum in the contest grew every minute and he was disappointed not to be awarded a penalty when a driving run was halted forcefully in the area. Blackburn goalscorer Evans received a second yellow card, and therefore a red, for a late foul on Bobby Adekanye – and Lewis curled the set-piece onto the outside of the right post. A dramatic final minute of added time had Grabara at its heart, the Pole saving Butterworth’s spot-kick and then immediately heading over at the other end. But time ran out for the visitors, who remain ninth in Premier League 2 as a result.